A big dead python has reportedly been seen at the gate of ZANU-PF councillor Vincent Murengwa's homestead in Mvurwi ward 28 on Friday morning. 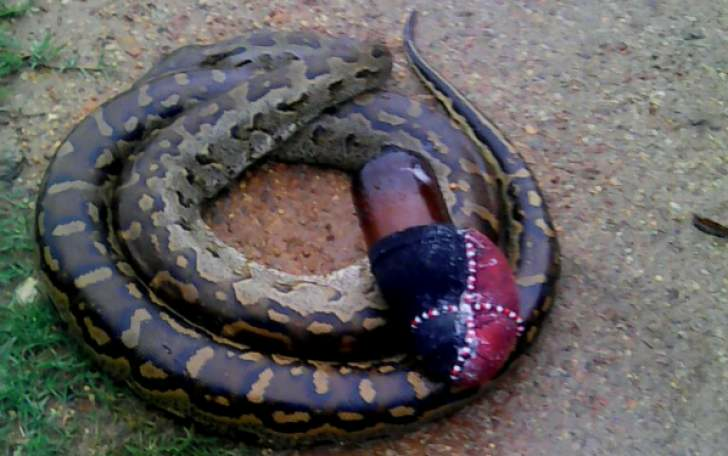 Eye witnesses allege the python had beads around the mouth and was subsequently burnt by a local pastor. "We saw a big dead python by Murengwa's gate; many were perplexed as to who placed it there hence a local pastor was summoned and he burnt it," revealed the source. "This is nothing short of witchcraft to scare the Councillor since some residents are disgruntled over food aids and fertilisers which are being distributed through him." However, when contacted for comment Murengwa could not deny or confirm instead he said this reporter should see him.